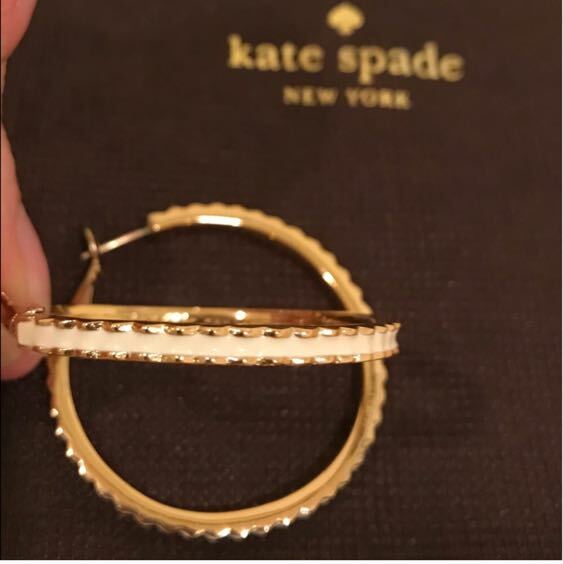 Kate spade hoop earrings. Gold with white detail. Scalloped in the edge. Never been worn before!